Welcome to Summer Flashback! Started by Tammy’s Two Cents, Summer Flashback is a way to take it easy during the summer with a blog entry that whisks you back to summers past. This week, we’re talking about our favorite childhood toys. Feel free to link up below! 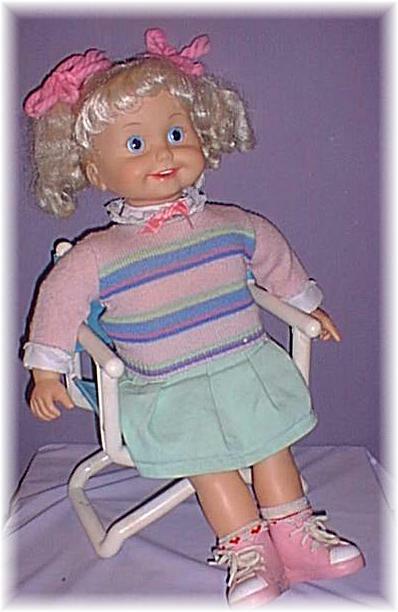 My favorite toy growing up would have to be Cricket, a doll who would “talk” when you placed tapes (yeah, you younger folks will have to look it up), in her back. I carried that doll everywhere and annoyed anyone within a 50 yard radius with her incessant chatting. Here’s a video of Cricket that I found on YouTube so you can see for yourself how cute she was (although some may disagree). I wonder what happened to that doll. Actually I think she disappeared right around the time another talking doll from my childhood made his debut. 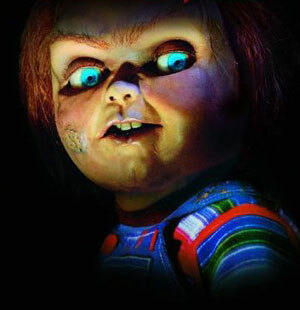 Anyone remember Chucky? And now for the winner… Congratulations to Matt! You win a signed copy of Baby 411! I used to have a doll that ate cookies. They would’ve made her switch to vegetables by now. I have never heard of Cricket…which must make you lots younger than me…haha!